Switzerland has different provisions for EU/EFTA citizens applying for Residence Permit B or Settlement Permit C as compared to applicants from other countries. The Government policy applicable for EU/EFTA citizens and Third-country citizens is given below. The immigrant must have adequate financial resources to bear the cost of living of self and family members in Switzerland without becoming requiring assistance or becoming dependent on welfare benefits. The applicant must have adequate health insurance with adequate coverage against the risk of accidents. Adequate residential space, according to Swiss standards, for proper accommodation of the applicant’s family. The following family members can be included in the application for Residence Permit B. Children and grandchildren under the age of 21. Older children or grandchildren are permitted if the applicant undertakes to bear their living expenses. Parents and grandparents of the applicant if the applicant undertakes to bear their living expenses. An EU/EFTA citizen will enjoy the same rights as citizens of Switzerland when purchasing real estate. The Permit B holder can buy real estate without having to apply for a permit. Apply for visa with Switzerland’s Diplomatic or Consular mission in the country of residence of the investor/applicant. The immigrant must have adequate financial resources to bear the cost of living in Switzerland without becoming requiring assistance or becoming dependent on welfare benefits. The applicant must have adequate financial resources to bear the living cost of all family members. The buyer must be holder of a valid Permit B. The buyer must intend to live in the main residence as long as the buyer intends to reside in that region or location. In case of land, construction of the home on the land must be completed within a period of one year. All foreign residents must purchase health insurance for self and family members within three months of arriving in Switzerland. Residents must obtain Old-age and Survivors’ Insurance scheme (AHV) and Invalidity Insurance (IV). Residence Permit B will be valid for a period of five years for EU/EFTA citizens and third-country citizens. The permit will renewed automatically provided the applicant continues to fulfill the prescribed conditions. Valid ID card or passport. Proof of relationship with family members. Undertaking to bear the living expenses of family members, if applicable. EU and EFTA citizens residing in Switzerland Permit B can apply for Permit C after a period of five years of regular and uninterrupted residence. Citizens of EU-17 nations, other than citizens of Cyprus and Malta, can apply for Permit C under the Foreign Nationals Act and settlement treaties signed by these nations with Switzerland. 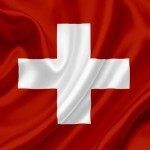 EU-8 nations and Romania, Bulgaria, Cyprus, and Malta have not signed settlement treaties with Switzerland. A third-country citizen can apply for Permit C after a period of ten years of regular and uninterrupted residence. The applicant can include spouse or registered partner and children under the age of 18 years in the application provided the applicant undertakes to bear their living expenses. The spouse and children will be issued Residence Permit B. They can apply for Residence Permit C after a period of five years of regular and uninterrupted residence.